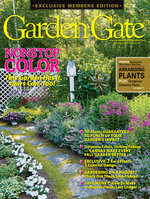 Want to grow a lot of celosias this year? Starting from seed will save you money! Here’s how. 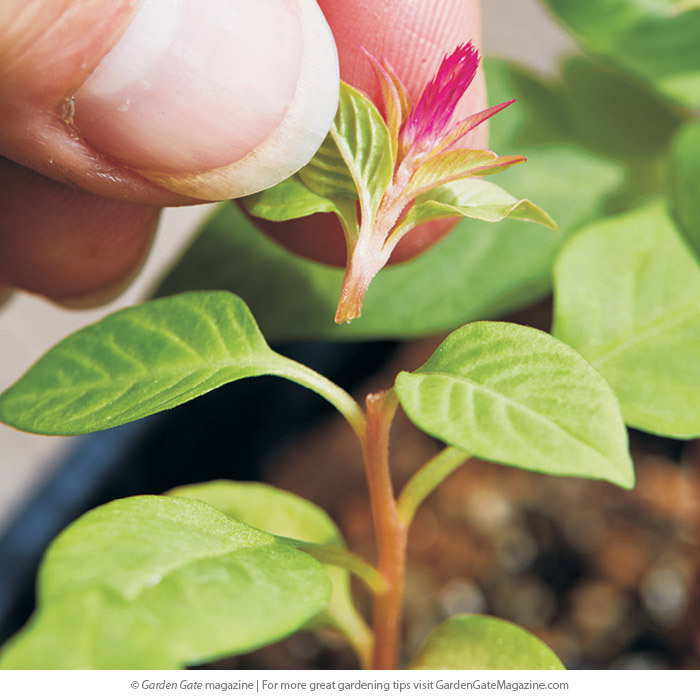 Starting celosias from seed is an economical way to get a lot of plants. Follow along as we show you everything you need to know to successfully start celosia seeds! 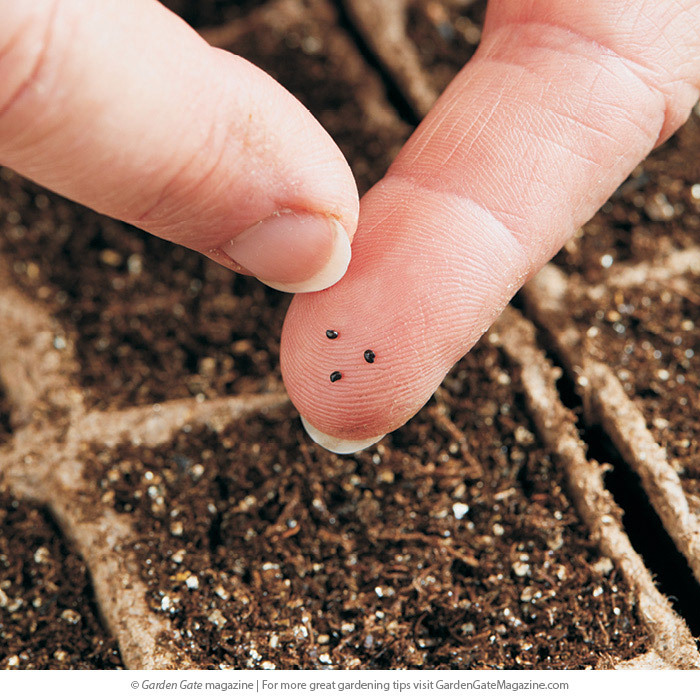 Start seeds 6 to 8 weeks before your average last frost date by filling 2 ½-in. peat pots with seed-starting mix. Peat pots are nice because you won’t have to dig up the tender roots to transplant later — just plant the pot. 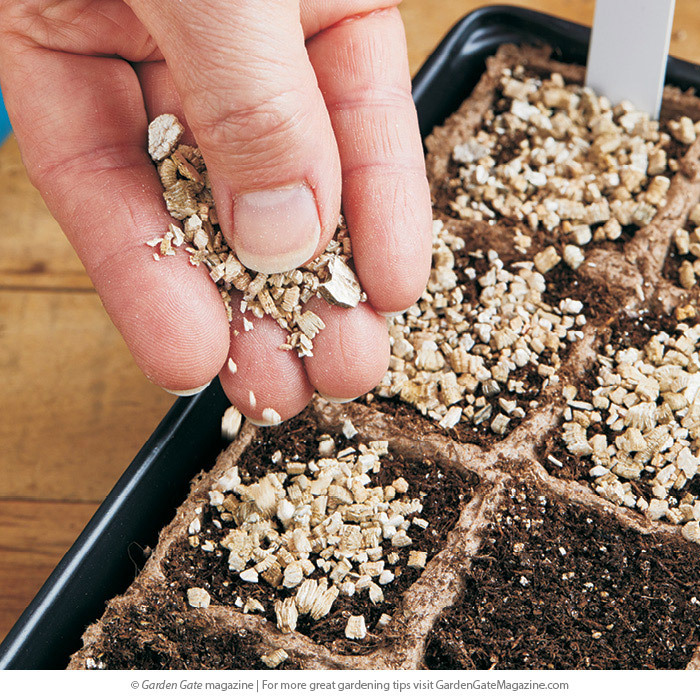 To give these tiny seeds the light they need to germinate, sow them on the surface of seed-starting mix. 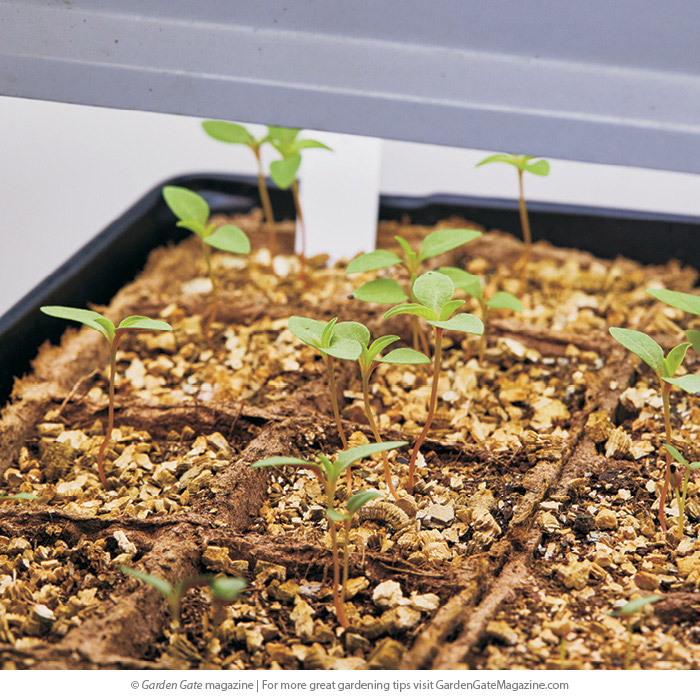 A thin layer of vermiculite helps conserve moisture while also discouraging damping off, a fungus that often kills seedlings. The white color and rough texture allow enough light in for germination. 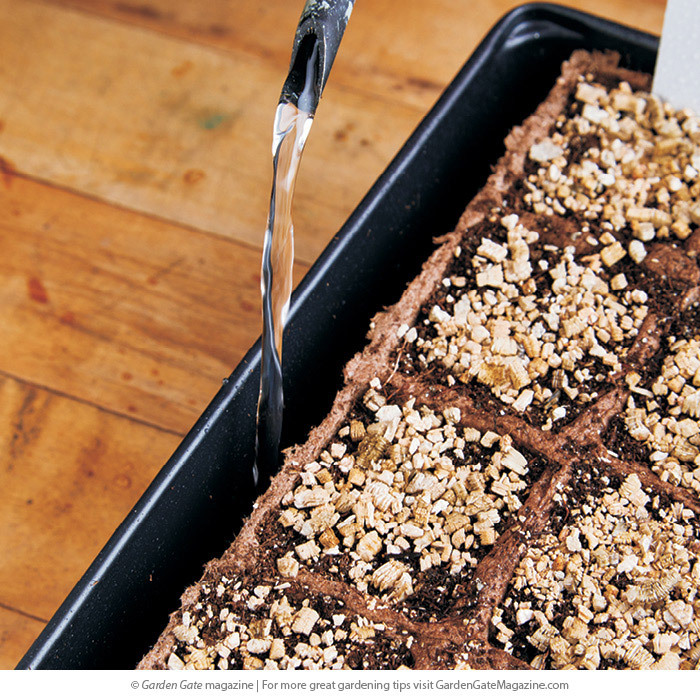 Moisture encourages germination so water from the bottom or mist the mix with a spray bottle. That way you’ll avoid washing the tiny seeds away. 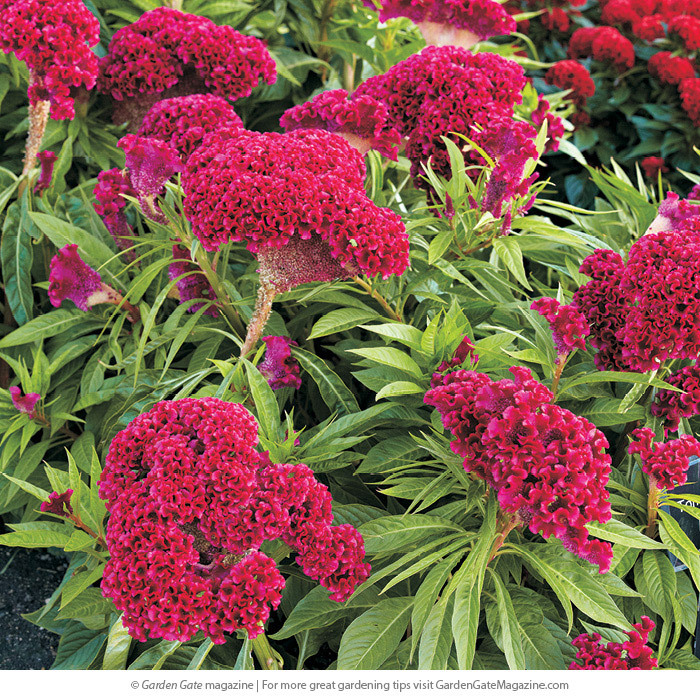 Keep your tray of newly sown celosia at 70 to 80 degrees F. A heat mat can help ensure consistent temperatures. You should see growth in 10 to 15 days. When seeds start to germinate, place the tray under lights, like the ones in the photo, for 12 to 13 hours a day and adjust the room temperature to 63 to 68 degrees F.
Anytime before the new plants have two sets of true leaves (those that look like the mature plant but smaller), thin to one plant per peat pot. 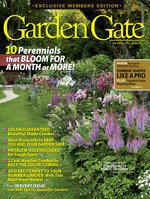 Small pruners with a sharp point or scissors will do the job. 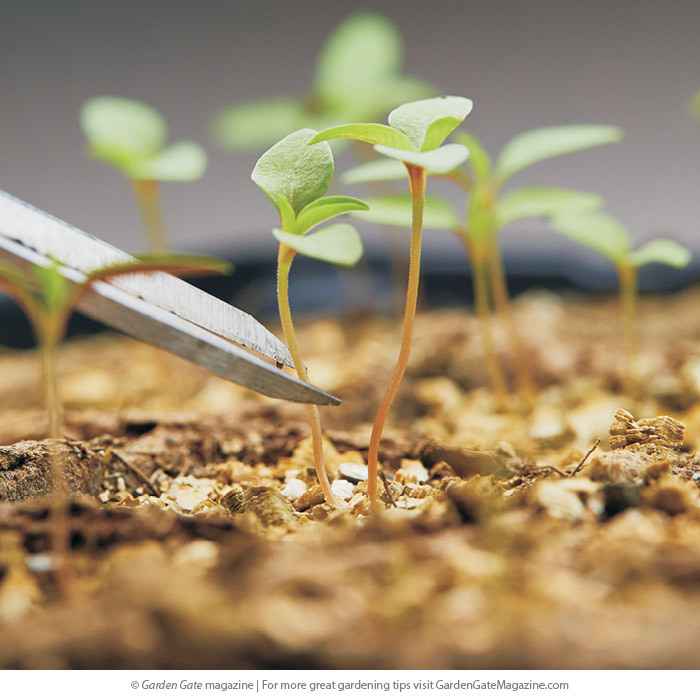 When plants are 8 to 12 inches tall, pinch out the tip of the center stem to encourage more branching. When nighttime temperatures outdoors are 55 degrees F or above, it’s time to move your celosias outdoors. 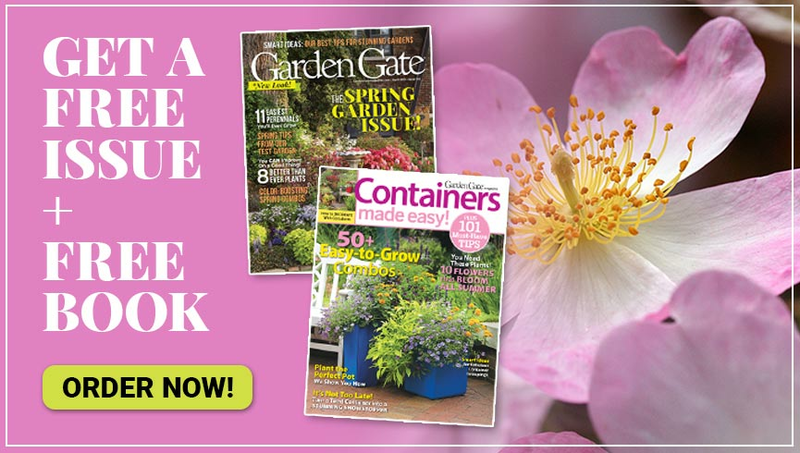 Harden them off by setting them outside in the shade for a few hours each day, gradually increasing the time and sunlight over a week to 10 days. Plant each peat pot in the ground at the distance recommended on the seed packet. Make sure to tear off, fold over or completely bury the top portion of the peat pot so it won’t wick water away from the plant. Tired of paperwhite daffodils flopping over? Try this tip! Learn the secrets to this shady hillside’s appeal in our video tour.